Is there anything better than hopping on a plane to a new city with all of your best friends? I think not! Cue Breanne and her crew of beautiful ladies who were in town to celebrate her Charleston Bachelorette party before her upcoming nuptials back in Ohio this June. Throw in an adorable Lilly dress for the lady of the hour, and matching bright colors from all of her besties, sister, and mom, and you have the making of amazing bachelorette weekend. A few months ago I was lucky enough – thank you Instagram – to meet and become friends with another fellow creative here in Charleston, Randi, the owner of both Kay and Co Weekends and Charleston Bubbly Bar. The sister companies take the guess work out of any weekend celebration here in Charleston by offering pre-planned party packages including things like yoga and champagne on the beach or a flower crown crafting class, making it so easy to just hop on a plane and enjoy your time in the Holy City rather than having to stress about the plans yourself. Top it off with a bubbly bar to get the weekend off to the right start and you have all the ingredients for a perfect weekend with all your besties. Did I mention that Randi is a genius?!? 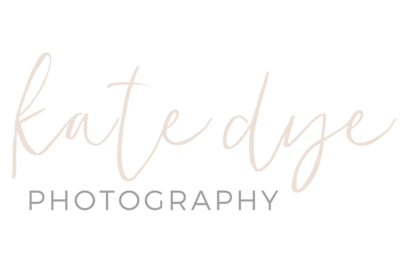 One addition to Kay and Co Weekend’s planning services is offering a photo shoot with a local photographer to remember all the shenanigans by, which is where I came in. Breanne and her crew wanted a classic Charleston backdrop to take photos in front of, so they chose the Pineapple Fountain in Waterfront Park. It was just a bonus that it happened to be a hop, skip, and a jump away from where Randi had set up dinner reservations all set up for them. Have I mentioned how her companies are?!? Less amazing was the wind and the rain that was rolling in that night, but in true Tim Gunn fashion we made it work and these ladies were the best sports ever! Y’all, these girls were so much fun! And if I’m honest, I wish I had photos like this of my own Bachelorette Party – and not only because that was the time in my life that I was the most in shape I probably ever will be 😉 – but also because it’s really one of the only occasions that ALL of your best friends are in one place at the same time. So if you’re planning a Bachelorette Party in Charleston, or know someone who is, be sure to get in touch with Randi at Kay and Co and Charleston Bubbly Bar because she literally makes it so easy on you. And if you want pictures of the occasions – ones that can actually make social media without any worries 😉 – I’m you’re girl! P.S. Check out Kay and Co Weekends and Charleston Bubbly Bar on instagram!